Regardless of your age, you should be using a serum. Younger skin benefits from their protective properties, while aging skin benefits from antioxidants, peptides, vitamins, and other anti-aging ingredients. Serums are less dense than creams or ointments, which allows them to absorb more quickly, efficiently and deeper into the skin. Therefore, it is important to apply your serum before your day or night cream. VITAMINS: Vitamins C and E are present in many serums, mainly to targeting aging and for their protective and antioxidant properties. 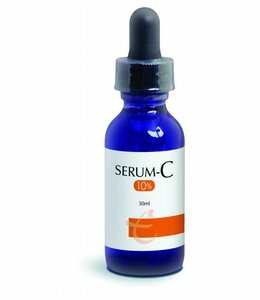 Pro-Derm Serum-C contains 10% vitamin C with Vitamin b5 and Vitamin E. The high concentration of non neutralized L-Ascorbic Acid (Vitamin C, antioxidant) found in Serum-C helps reduce the damaging effects of environmental free radicals. Applying Serum-C before using a sunscreen increases the skin’s resistance to pollutants and ultra-violet rays. 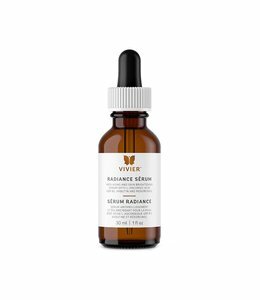 ANTIOXIDANTS: Because of their efficient delivery system, serums can infuse the skin with antioxidants. Vitamin C and E are two common ingredients found in serums that work very well, for example, SkinCeuticals CE Ferulic is a combination antioxidant serum containing 15% L-ascorbic acid (Vitamin C) , 1% Alpha Tocopherol and 0.5% Ferulic Acid. 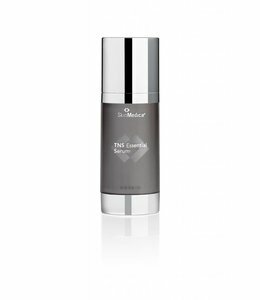 This serum neutrilizes free radicals, provides photo protection and stiumulates collegan synthesis. SKIN BRIGHTENERS: You can expect to find natural skin brighteners like willow bark and date palm extracts in serums that address dull-looking skin. Tata Harper Rejuvenating Serum is a natural approach to an anti-aging collagen treatment. 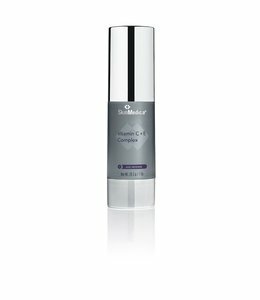 It contains 29 active ingredients that promotes healthy collagen production. HYALURONIC ACID: In addition to hydrating, hyaluronic acid allows serums to penetrate deeper and stimulate new cell growth. SkinCeuticals Retexturizing Activator is a bi-functional resurfacing and replenishing serum that helps to retain water within the skin and provides immediate smoothness to rough skin. SkinCeuticals H.A. Intensifier's unique formulation contains a high concentration of pure hyaluronic acid, proxylane™, and botanical extracts of licorice root and purple rice to support skin’s hyaluronic acid levels and boost them by 30%, which is what gives our skin its plumpness and firmness. PEPTIDES: As we age, collagen is lost and this gives way to aged, wrinkled looking skin. When the long strands of amino acids in collagen are broken down they create small chains commonly referred to as peptides. The presence of these peptides signal to the skin that it has lost collagen and the production of more is necessary.